Weekend breakfasts are great! They allow for lazy long mornings where you have time to spend an hour or two making breakfast. I had an awesome such morning this weekend, where I decided it was high time I tried making my own home made eggs Benedict, smothered in home made blender hollandaise sauce. 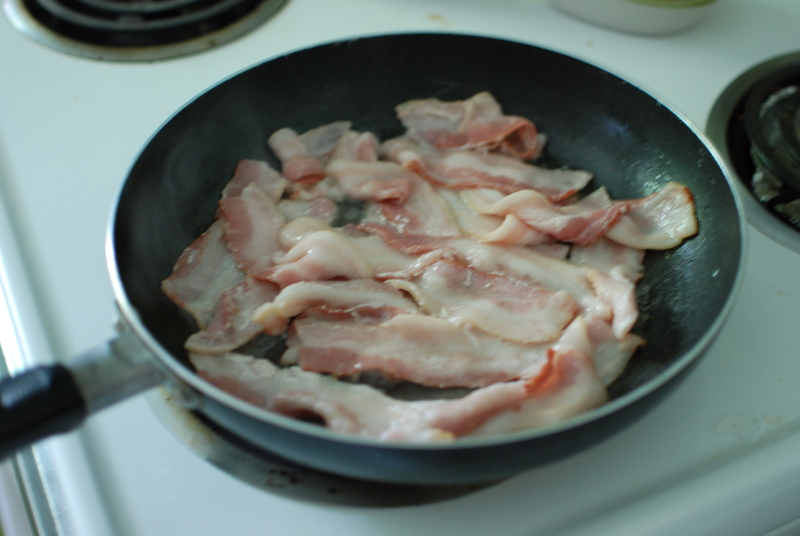 I started by frying up some bacon in a pan, while I was preparing the hollandaise sauce. 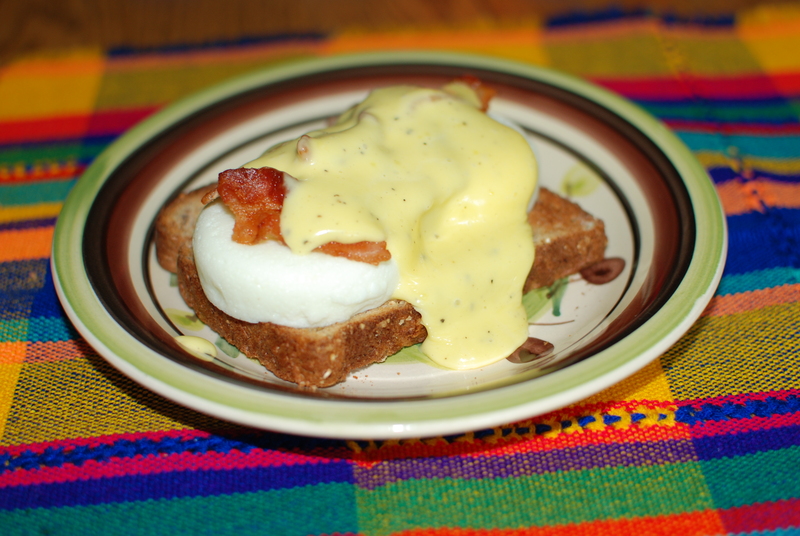 Once I found a good recipe for hollandaise sauce, I couldn’t believe it! The main ingredients to hollandaise sauce are egg yolks, butter and lemon juice. That’s it! No wonder it tastes so good! I separated 6 eggs (I doubled the recipe). 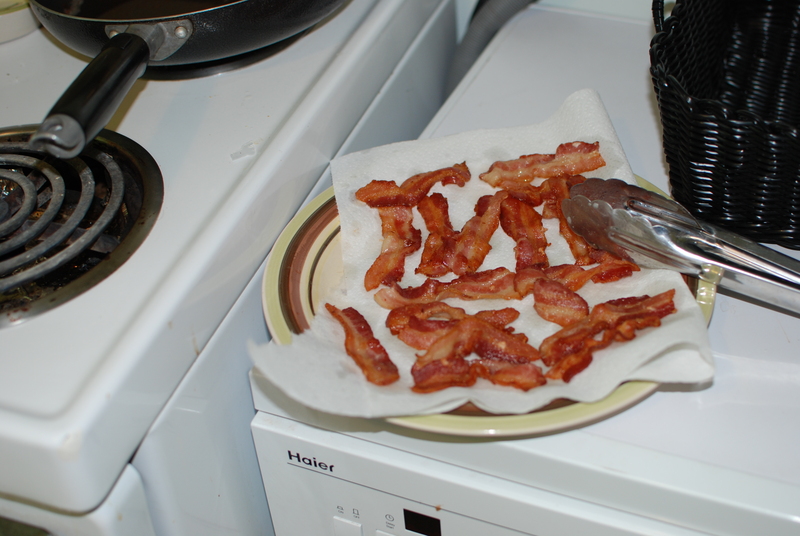 I had to take the bacon off the stove because it was nice and crispy at this point. 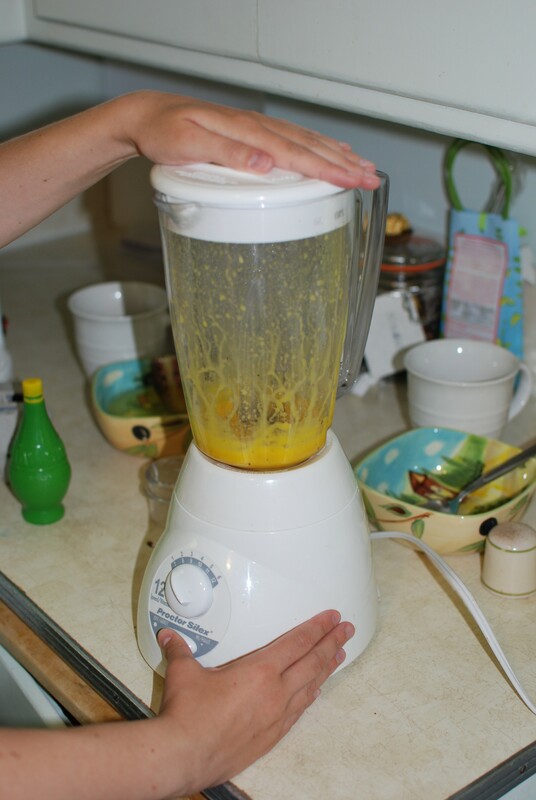 Then I blended all the egg yolks together with some salt and pepper. 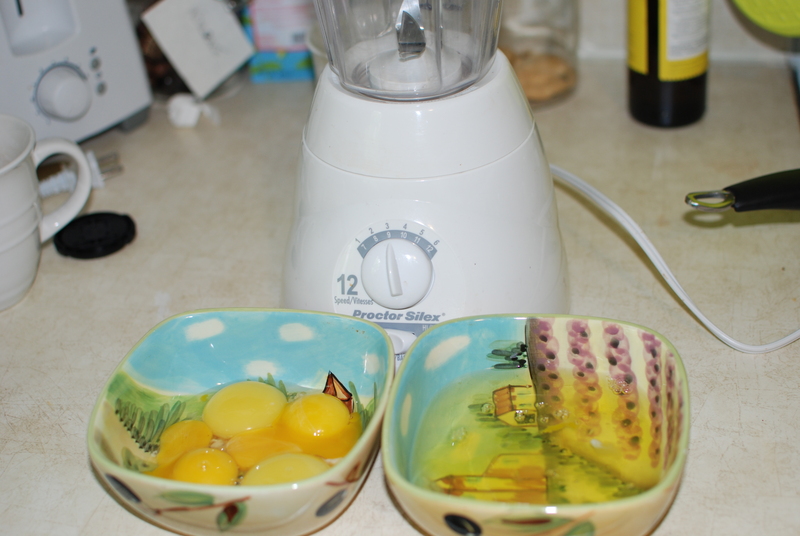 Next, I had add the melted butter to the blended egg yolks, while the blender was on. This made a hot buttery mess all over my kitchen. It was great fun though! 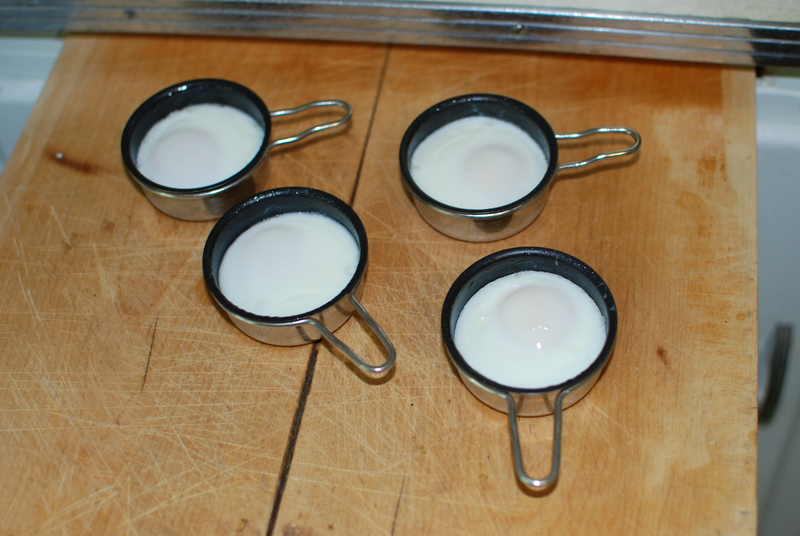 I also poached some eggs with my handy dandy egg poacher. Then I assembled the benies by layering toast, eggs, bacon and hollandaise sauce. This was quite the rich breakfast. I wasn’t able to eat again until dinner! 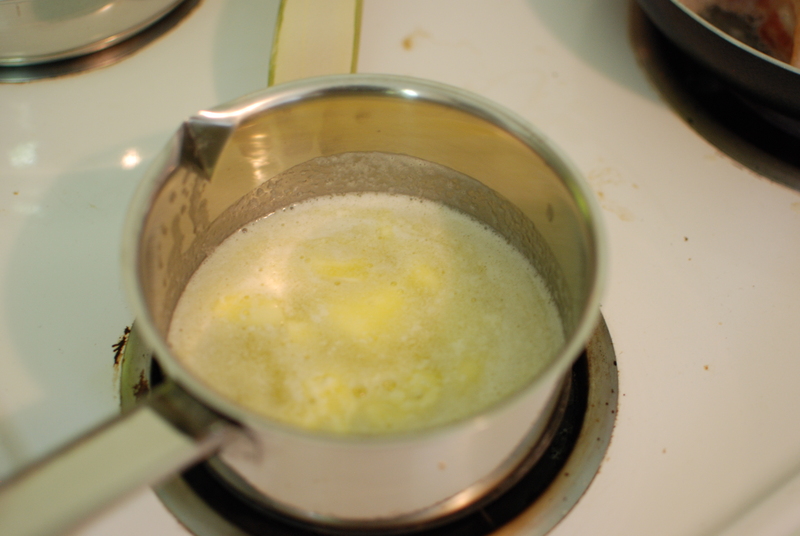 Put the butter in a small microwave safe bowl and melt in a microwave until just melted. 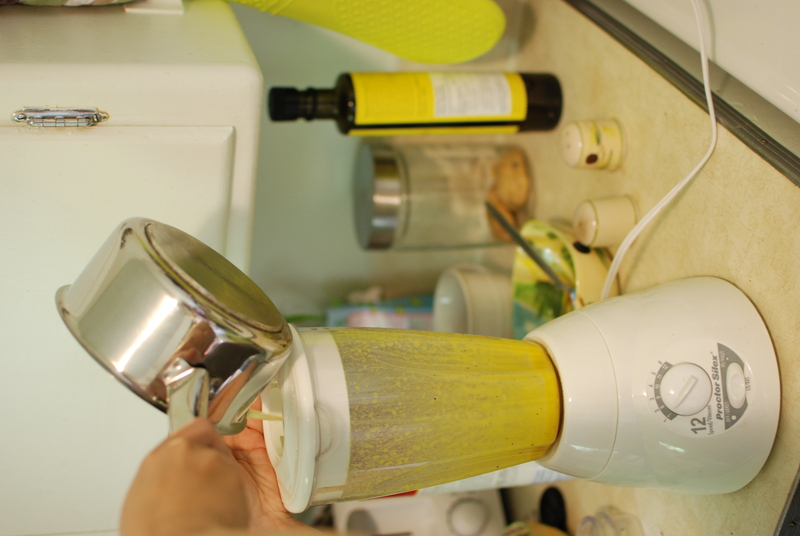 With the blender running, gradually add the melted butter into the egg to make a smooth frothy sauce. 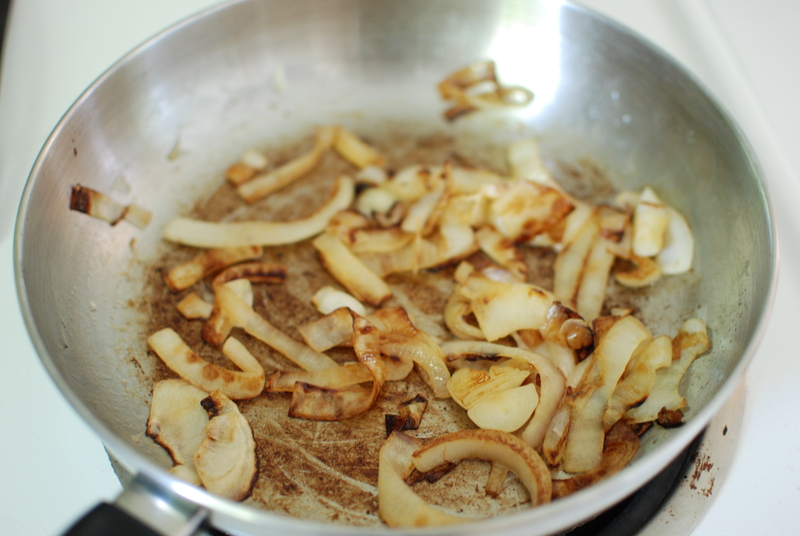 If the sauce is very thick, blend in a teaspoon of lukewarm water loosen it up. 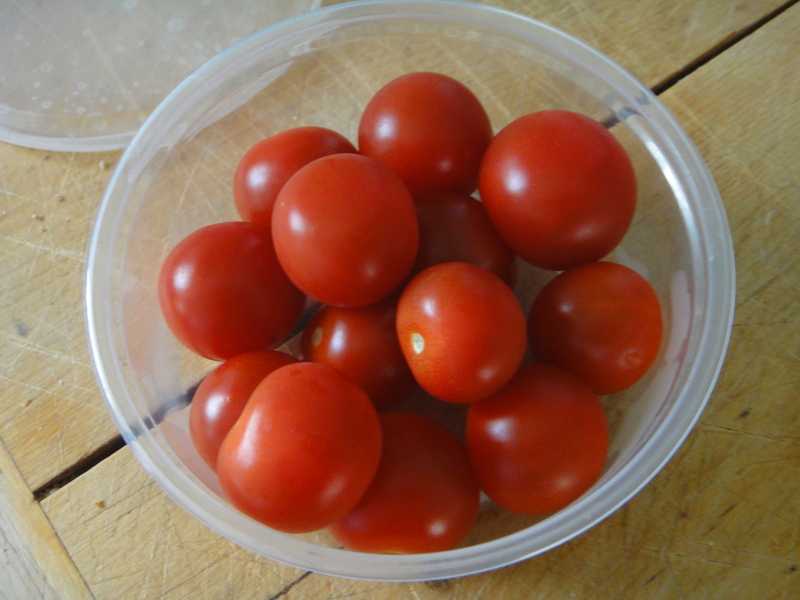 Season with the salt and serve immediately or keep warm in a small heat-proof bowl set over hot (but not simmering) water until ready to serve. Cook bacon until crisp. Poach eggs to your desired softness. Toast the bread. Layer the bacon and poached eggs on top of toast. Slather generously with hollandaise sauce. Enjoy! 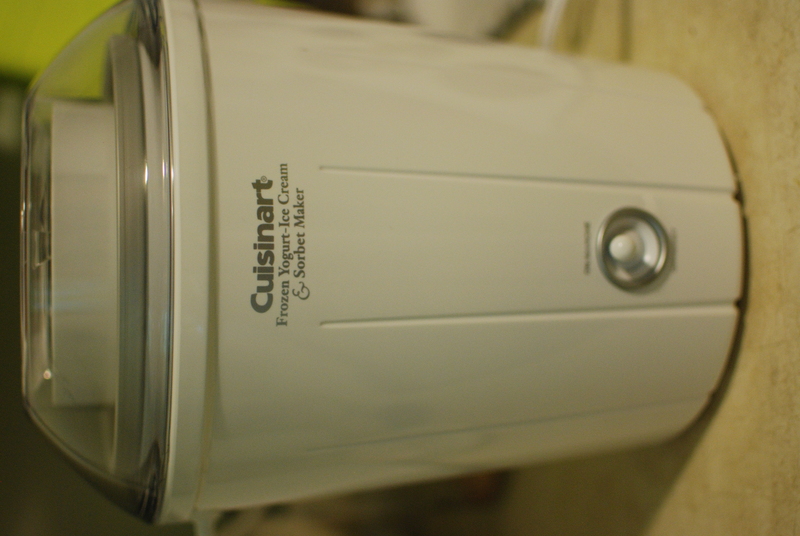 I caved, I bought an Ice Cream maker. It was soooo worth it!! Never again do I have to worry about home made ice cream forming ice crystals during the making process. Now, all I have to do is hit a switch and tada! 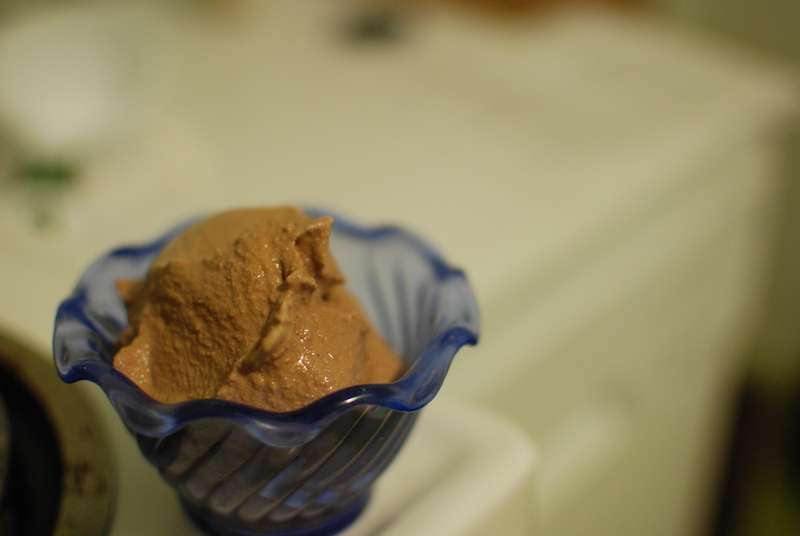 Beautiful, creamy, delicious and amazing homemade ice cream, right at my fingertips. It’s quite magical, actually. 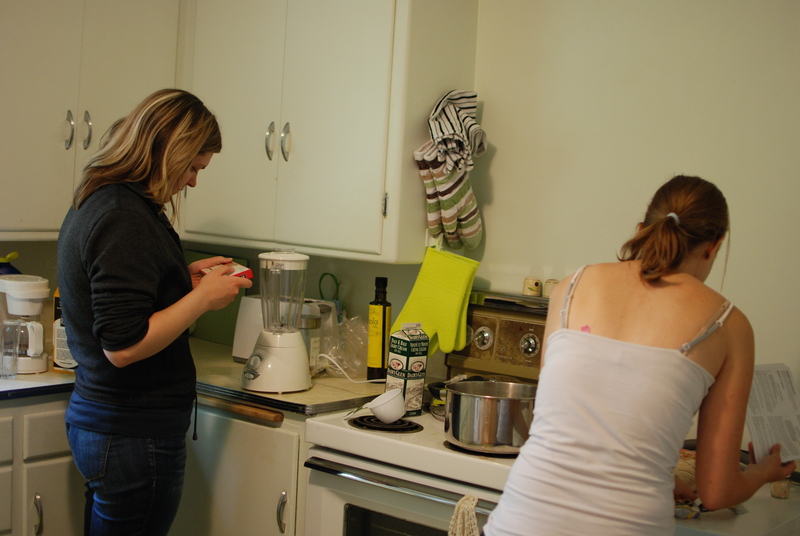 For my first batch in my newly acquired ice cream maker, I borrowed my friend Alexandra to help me work out the recipe. We first heated milk on the stove until just bubbly. 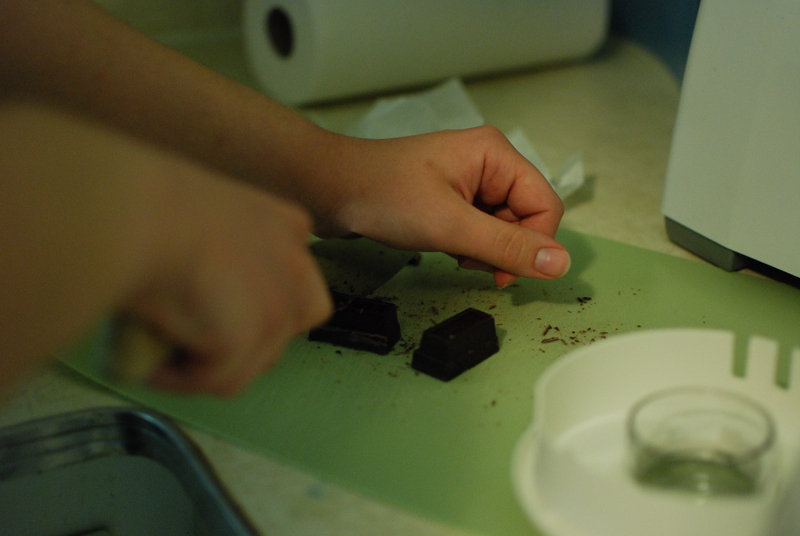 Alexandra helped me out by chopping the chocolate into melt-able chunks. 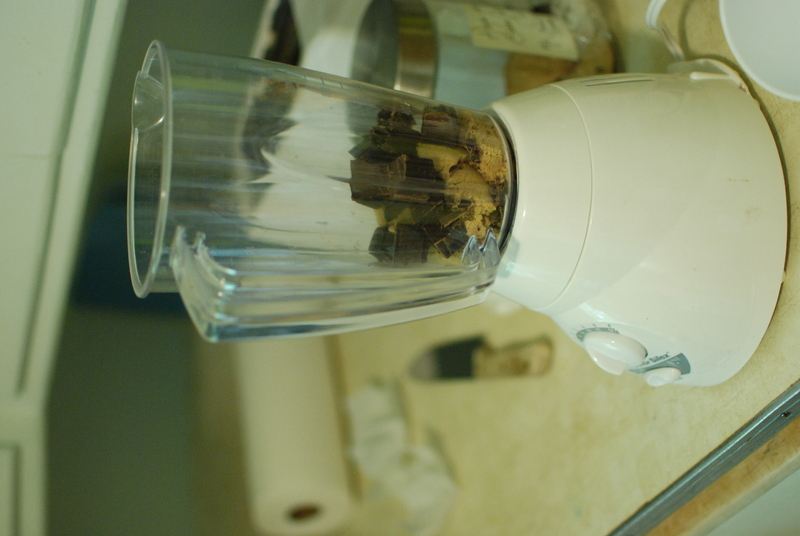 We then stuck the chocolate and sugar in the blender. 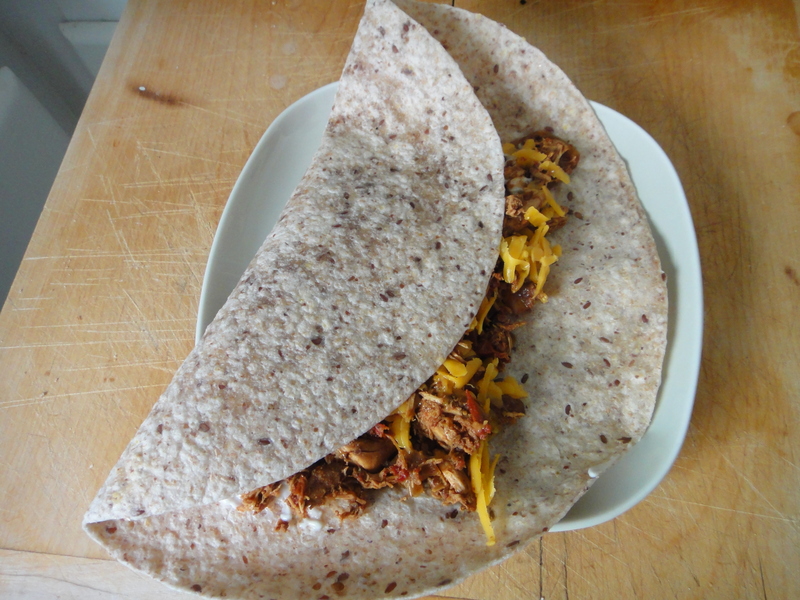 And blended them together for a bit. 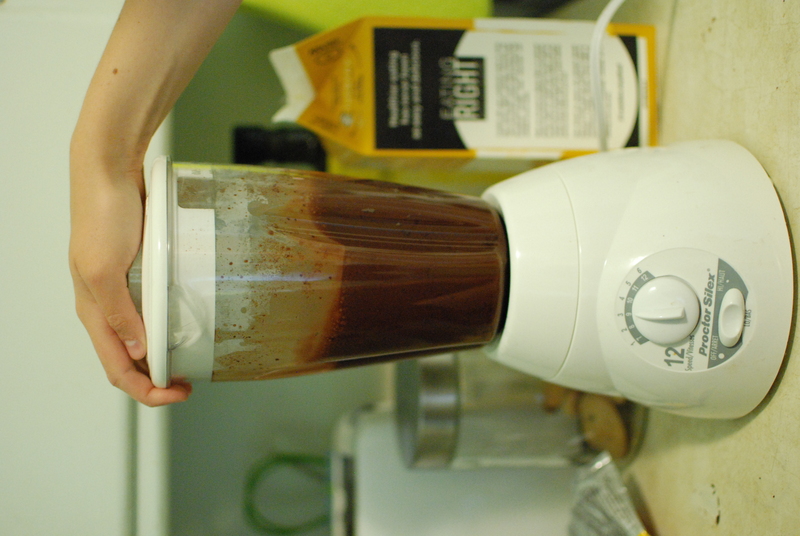 Then we added the hot milk, and blended again, melting the chocolate and sugar with the milk. 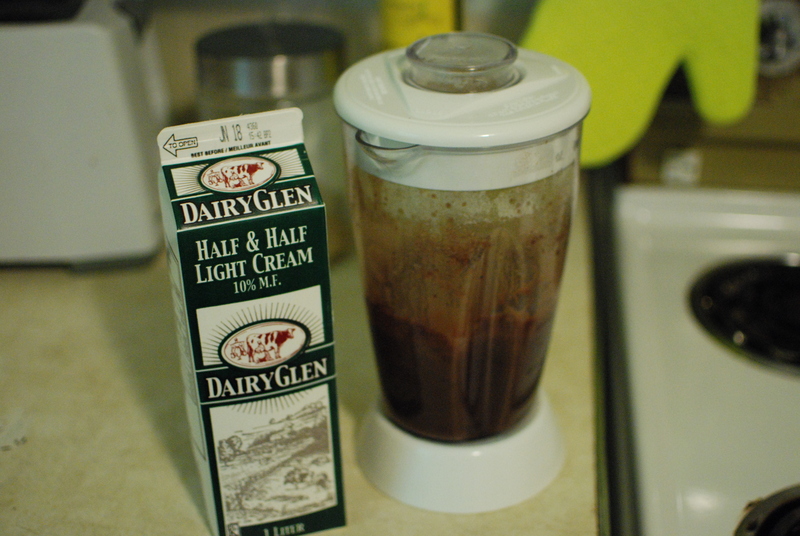 We had to let the mixture cool for about 2 hours after that… Next step was to add the creamer (we used half and half). 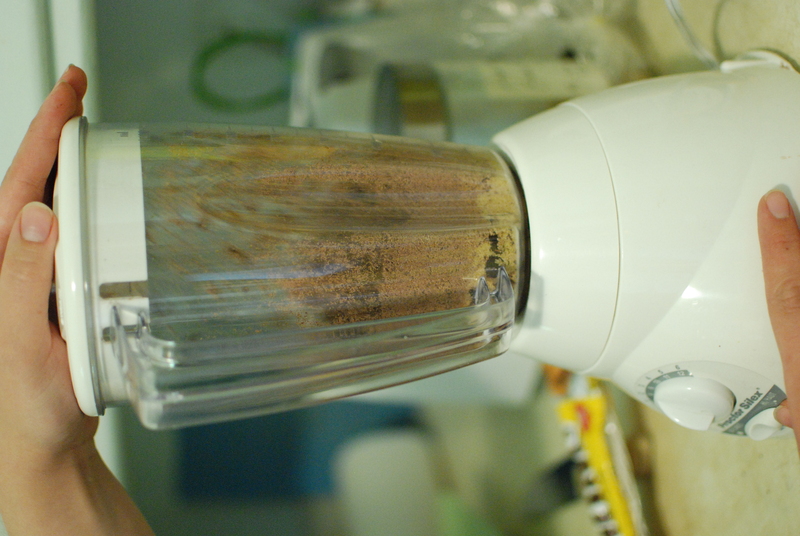 And then I blended it again! Into the ice cream maker it went. My beautiful new toy. 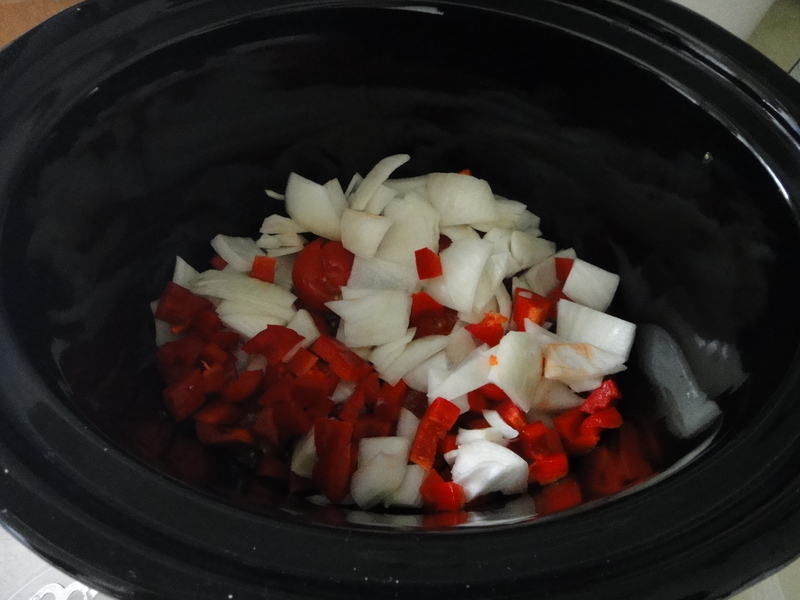 I love you Cuisinart! 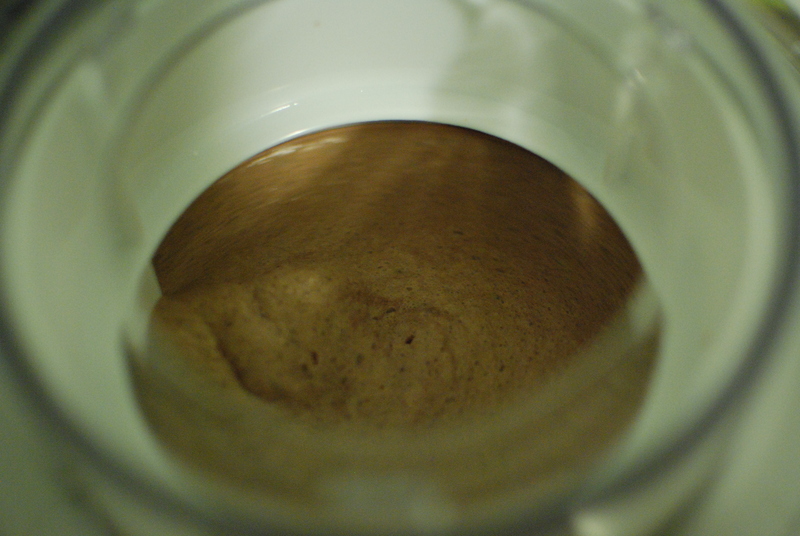 Here is the ice cream starting to crystallize. 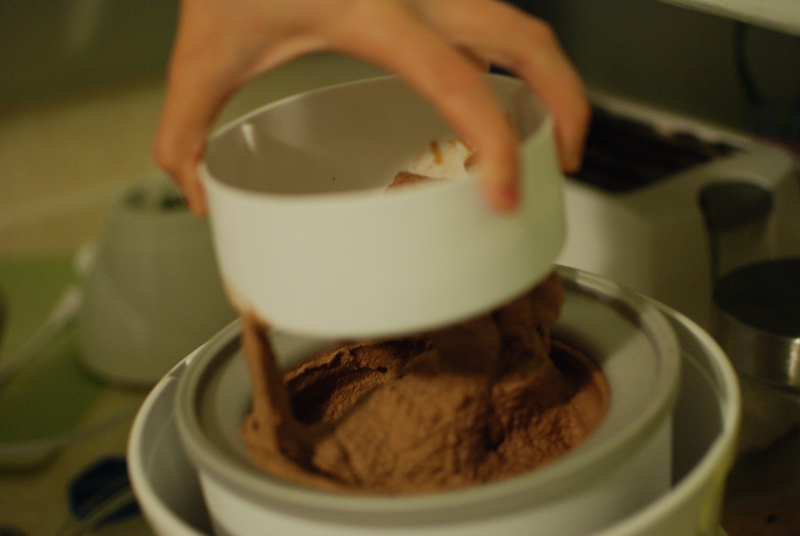 It made a delicious, chocolately, thick ice cream. 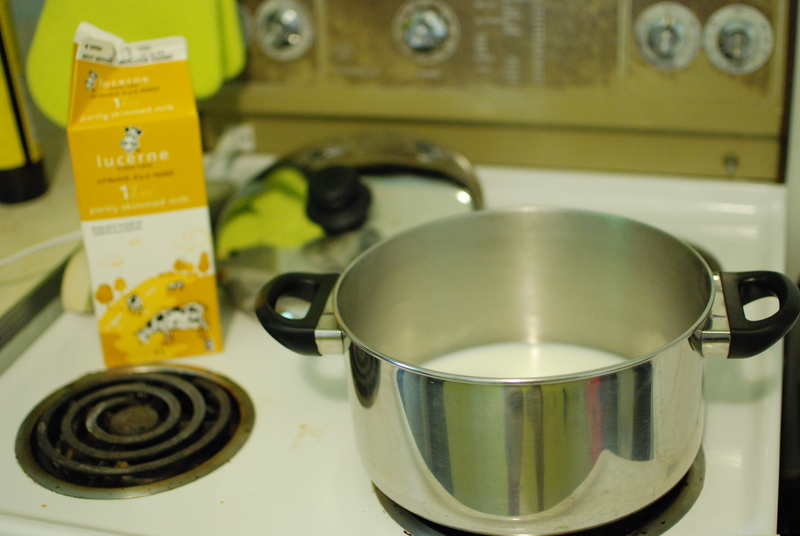 Heat the milk until it is just bubbling. 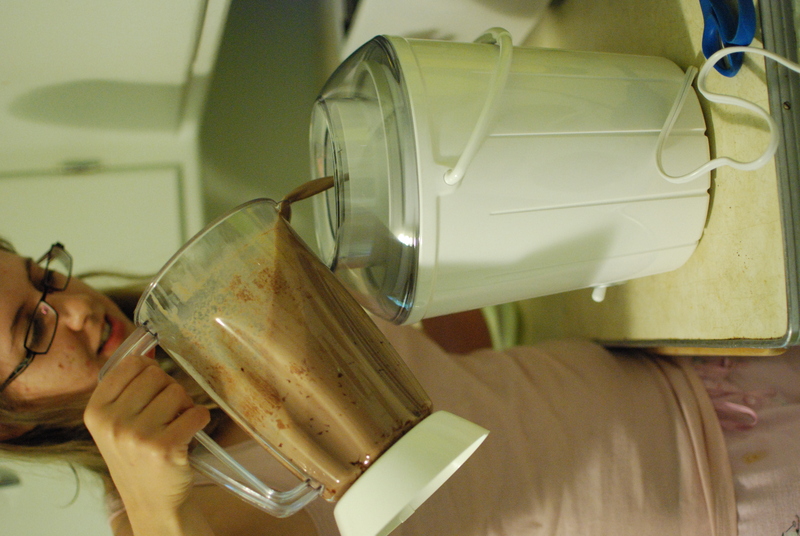 In a blender, pulse the sugar and chocolate until the chocolate is finely chopped. 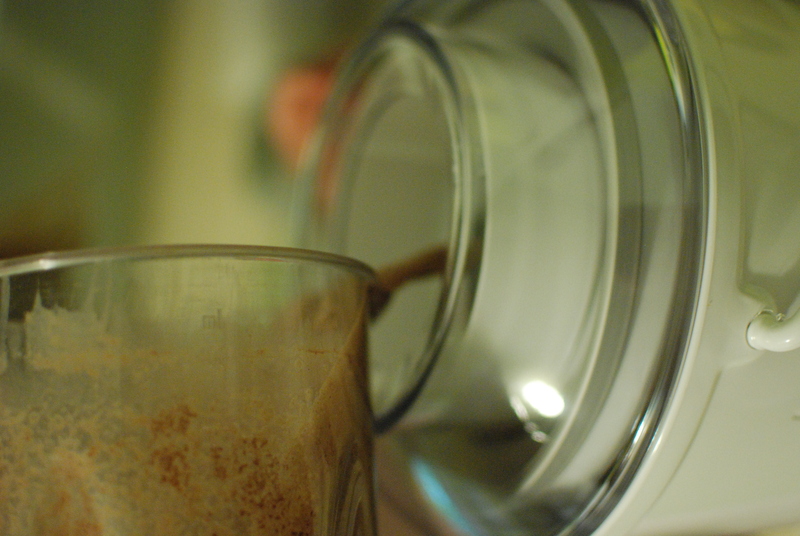 Add the hot milk; process until well blended and smooth. 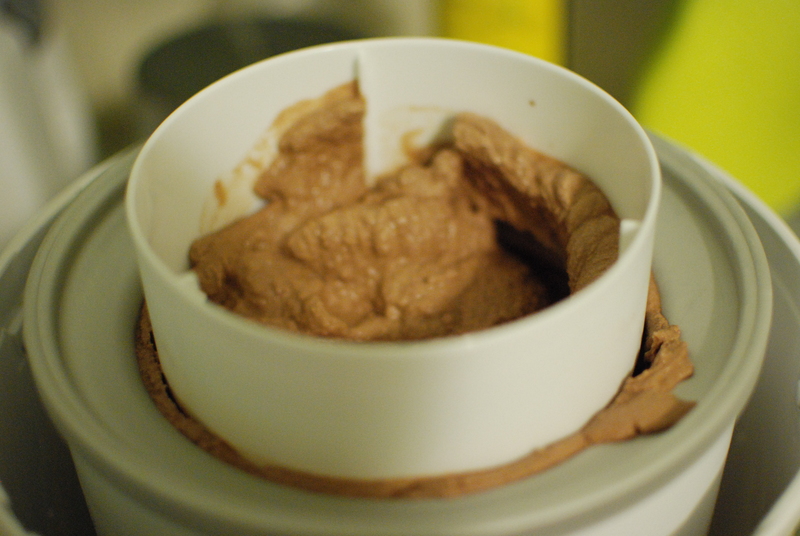 Transfer to a medium bowl and let chocolate mixture cool completely (2 hrs in fridge). Next, stir in cream and vanilla. 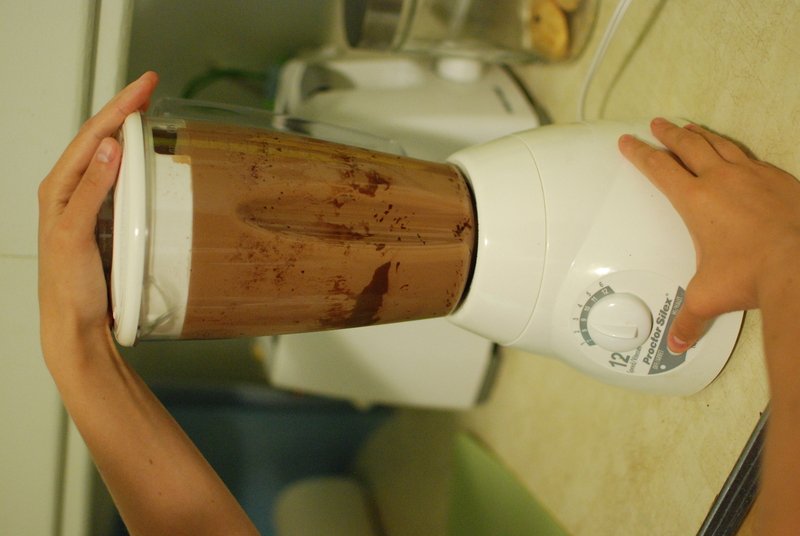 Pour the mixture into the ice cream maker and let run until ice cream thickens, about 20 to 25 mins. Serve immediately. Enjoy!! 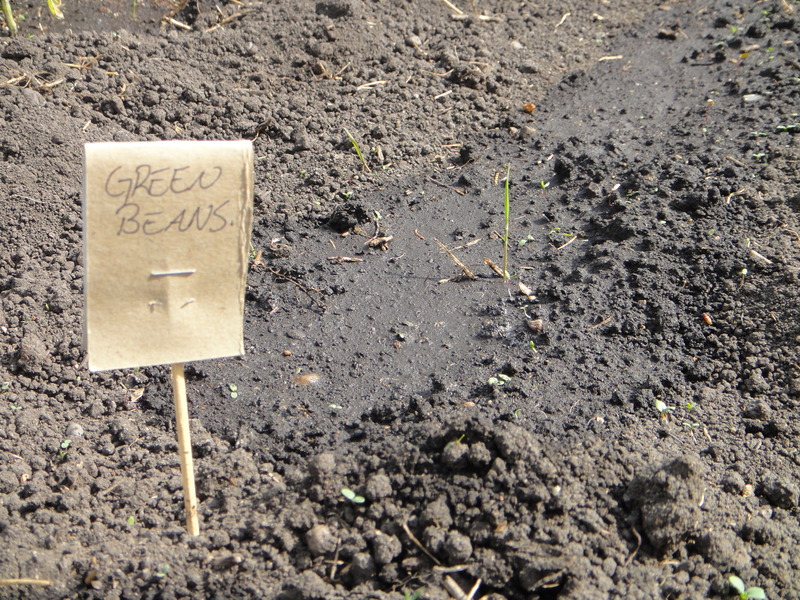 I decided this year was high time for me to grow my own garden. 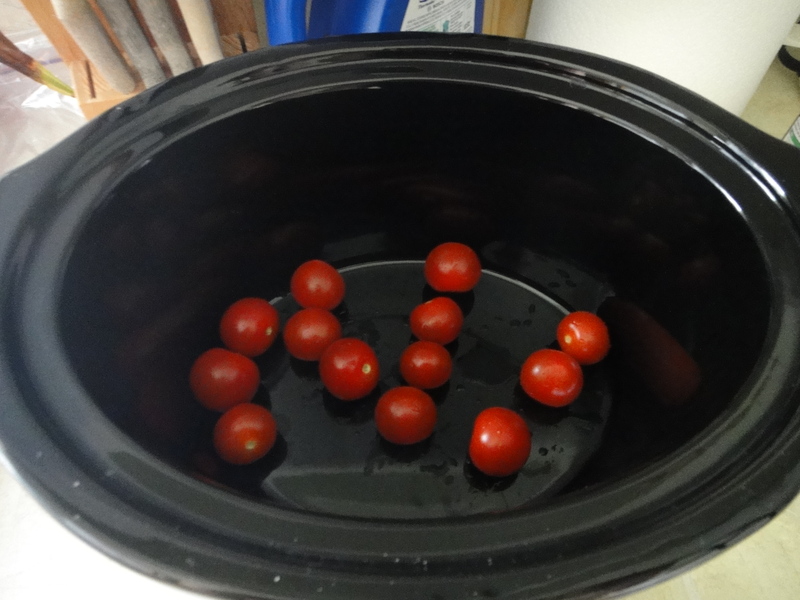 I love local food, and so why shouldn’t I take the time to grow my own food, with the carbon footprint of 10 steps from my Garneau Home Kitchen? This is the first time I’ve ever grown anything in my life. Mylexandra can attest that I was highly reluctant, given my track record with household plants… I figured, hell, let’s give it a shot. It’s been an adventure so far! 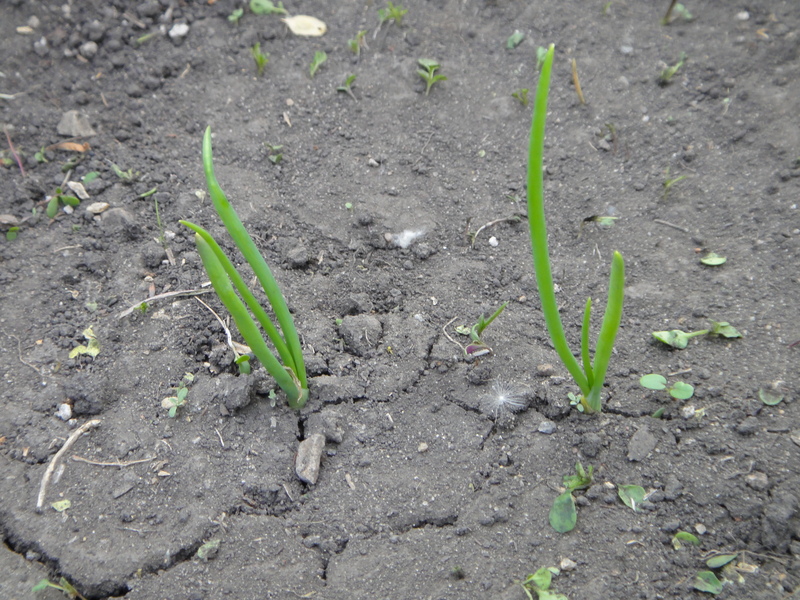 We planted around the second weekend in May. 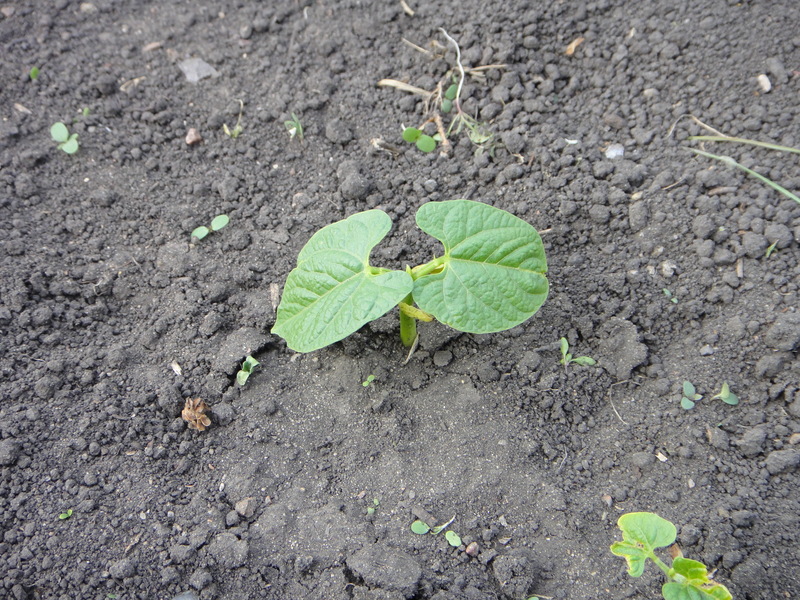 I had many people telling me that was wayyy too early to plant, but I wanted to get going, so I planted, and really I’m happy I did, because it is now the second week of June, and my garden looks great! I planted a few planters, and a few seeds. 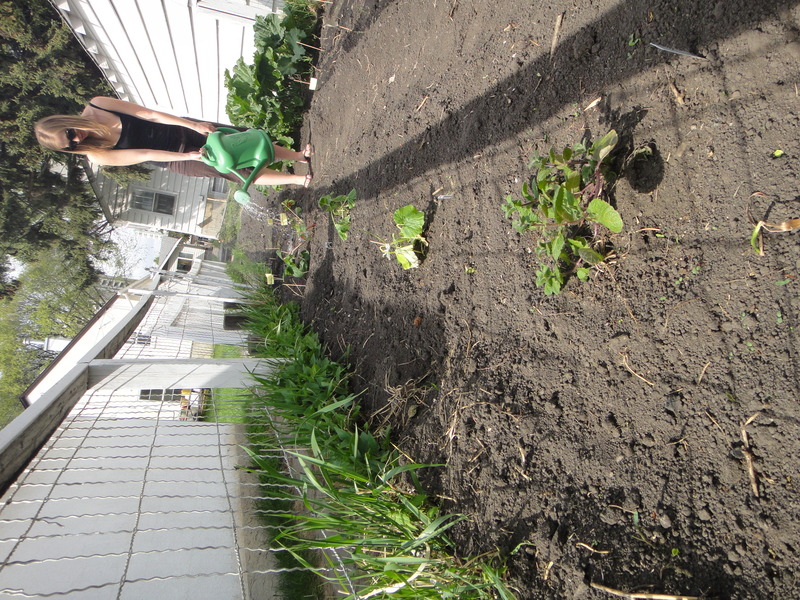 Here is my row of green beans. 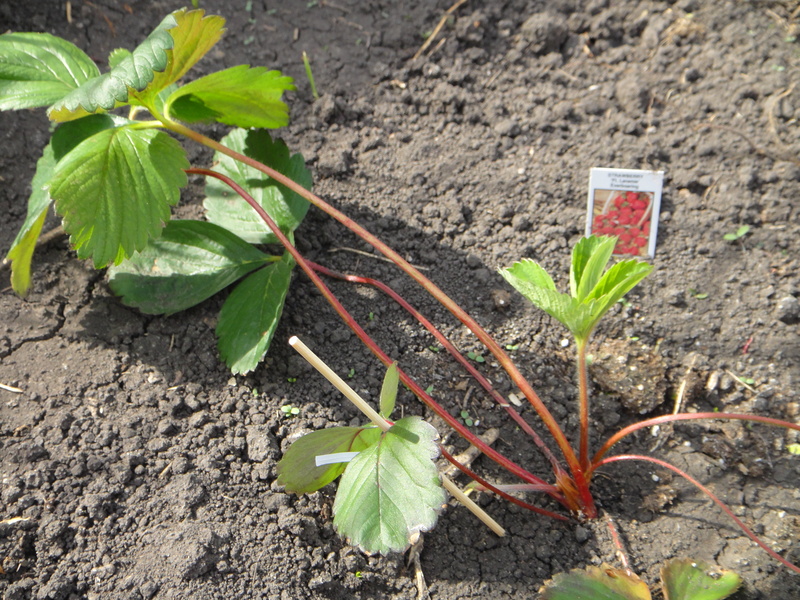 I decided on fresh strawberries this year. Hmm.. Who doesn’t love handpicked fresh strawberries? 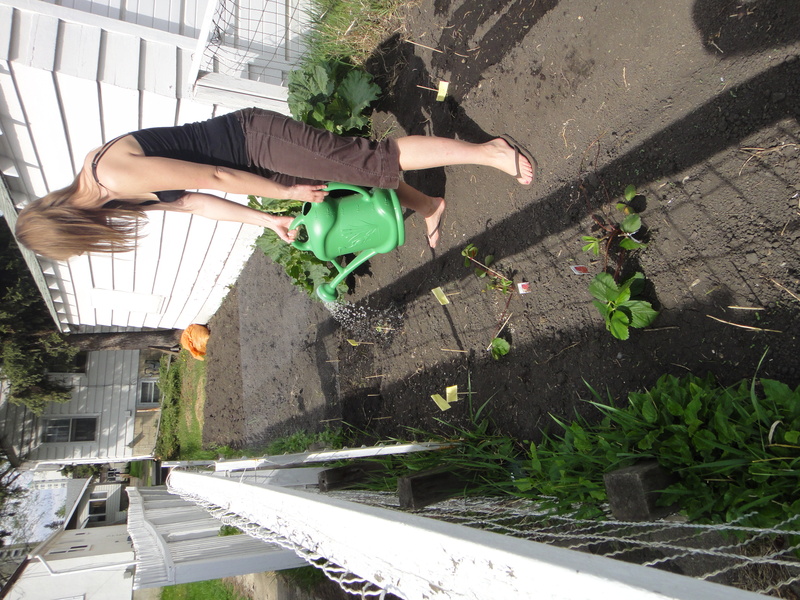 This is me, proudly watering my newly planted garden. 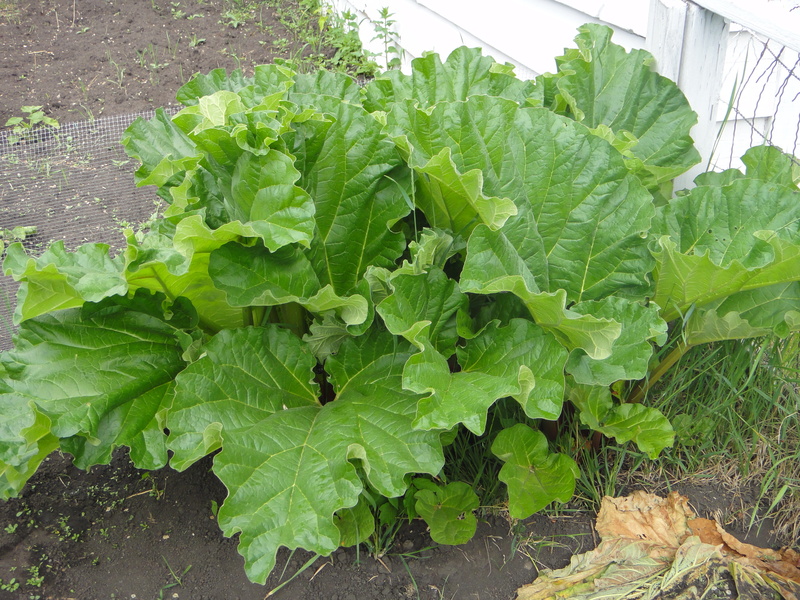 Note the size of the rhubarb plant in this picture. It’s nearly quadrupled in size since then! 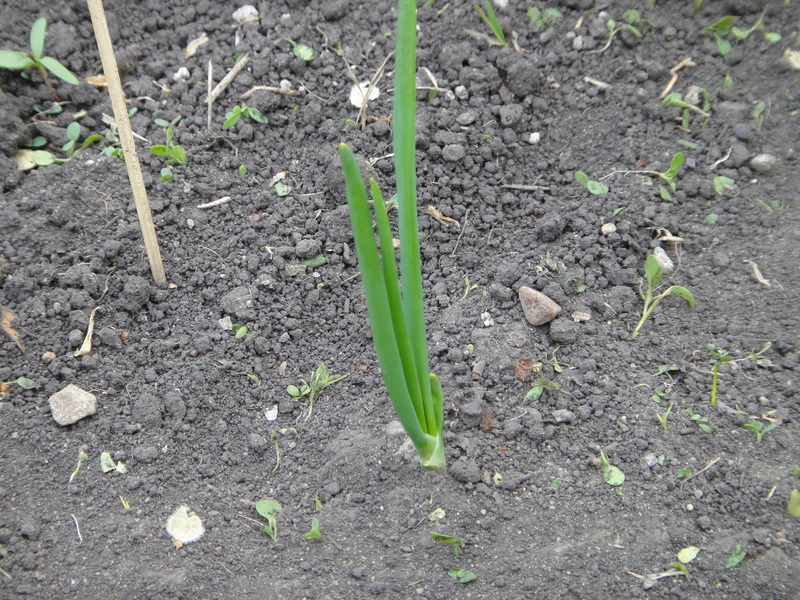 Three weeks later, I look my camera back into the garden, to snap some photos of the newly budding plants! 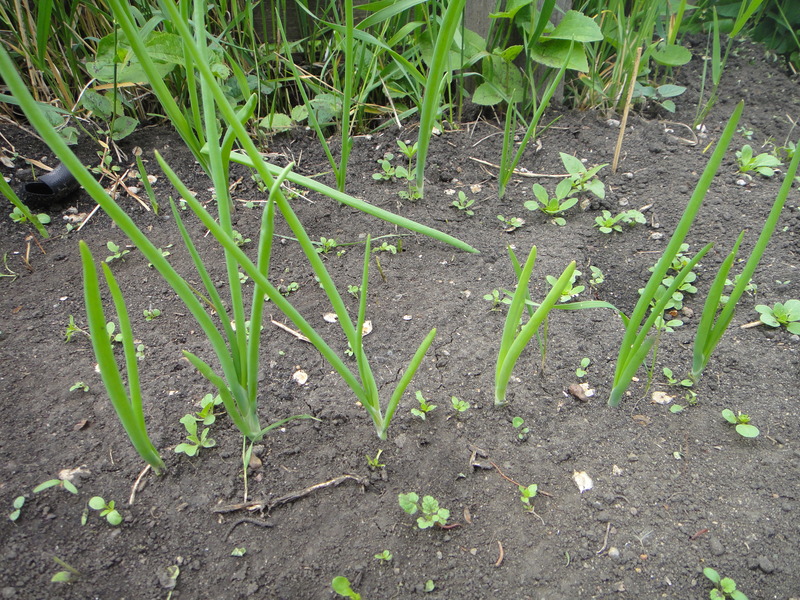 These are sprouts of my newly budded red onions. Don’t they look like they are trying so hard? 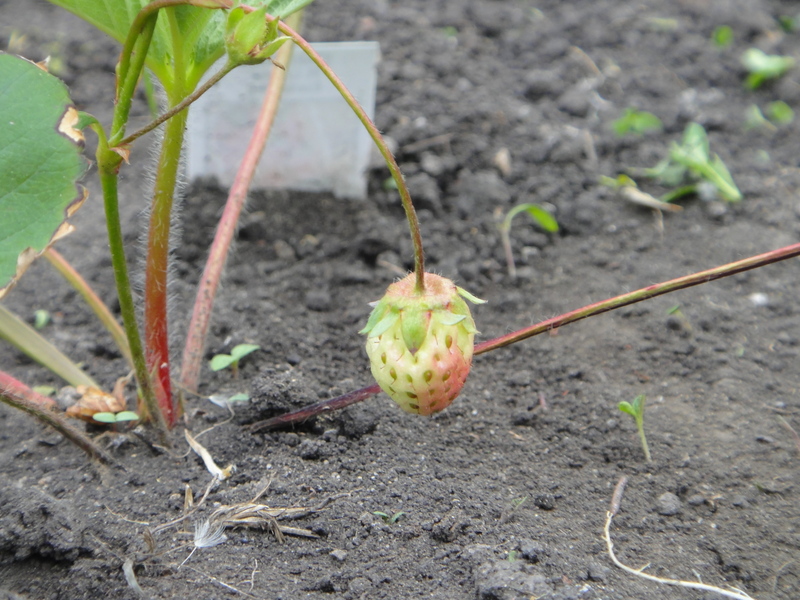 Here is the almost ripe, cutest little local strawberry I’ve ever seen. 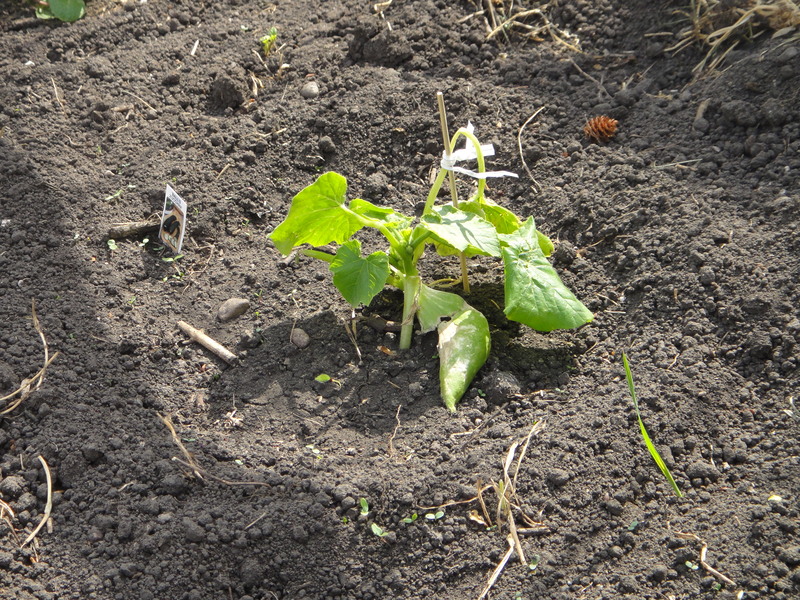 A newly budded green bean plant. 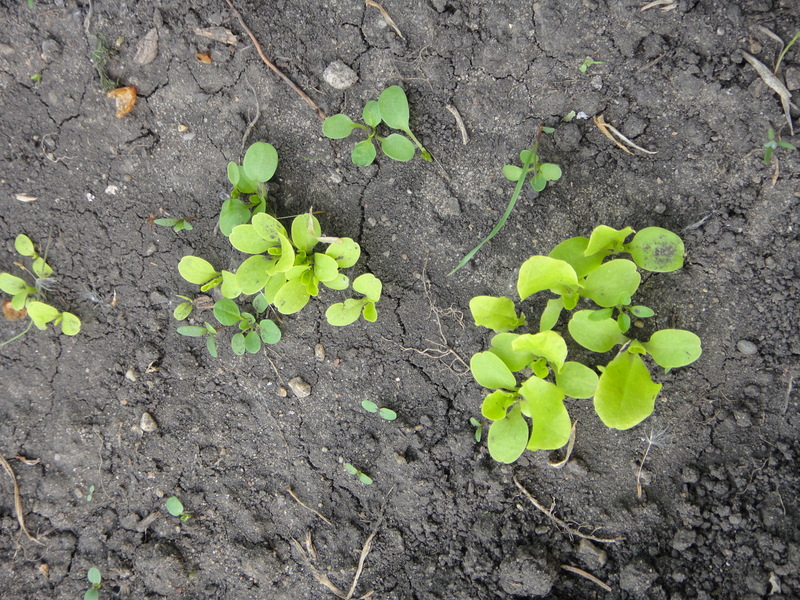 Tiny buds of my baby lettuce. 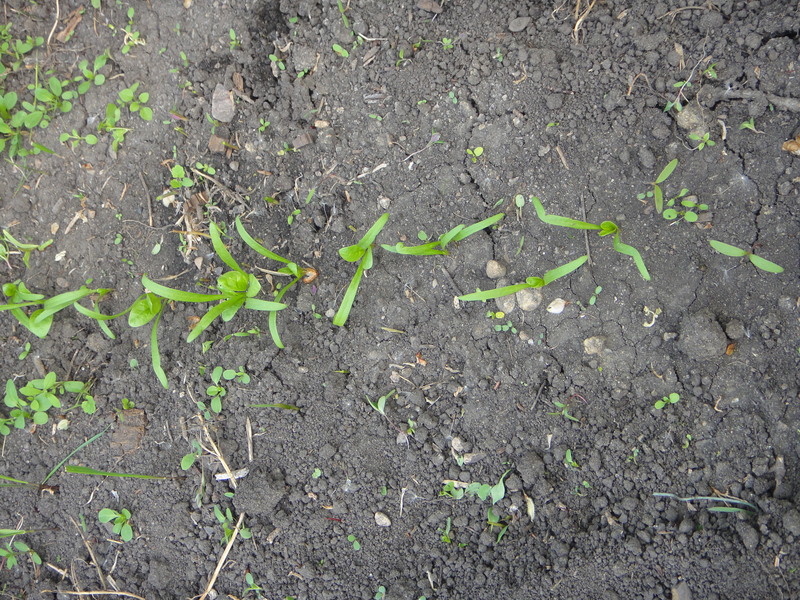 Even tinier little spinach buds. They are all growing so well! With all the rain we’ve been having over the past week, my garden has exploded!! Red onion heads. Mighty and awesome! 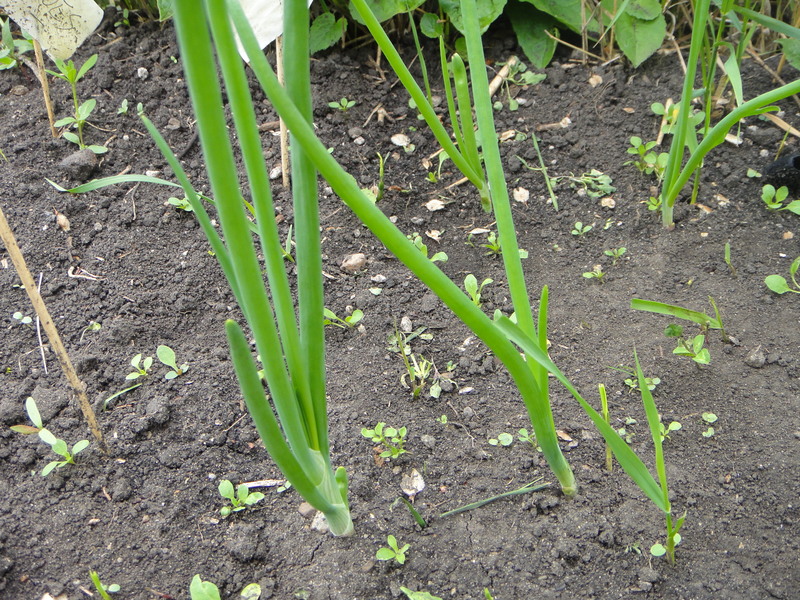 Here they are all growing in a row! 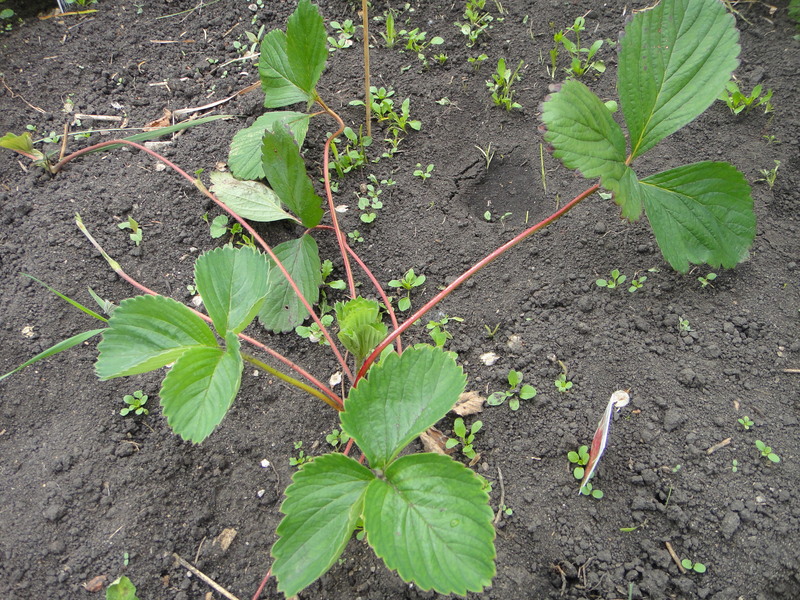 My strawberry plant, growing nice and strong! 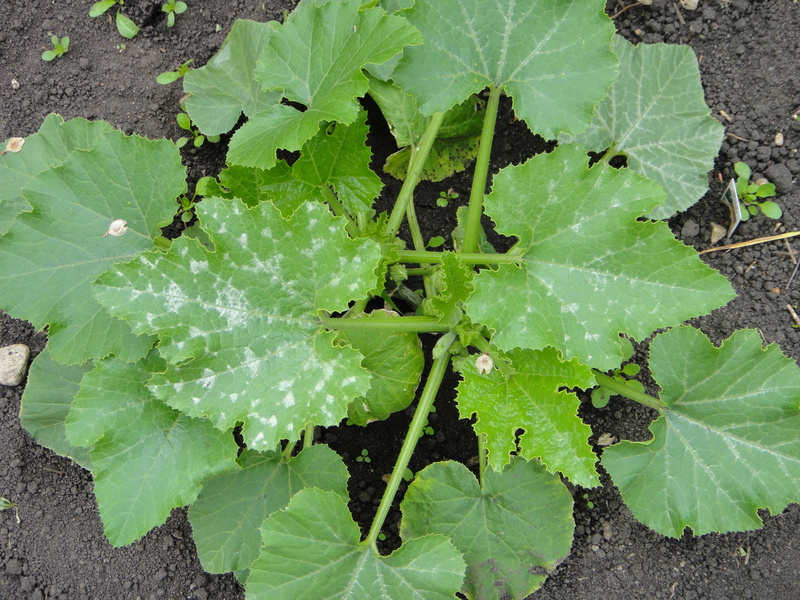 My once baby zuchini plant, now huge! 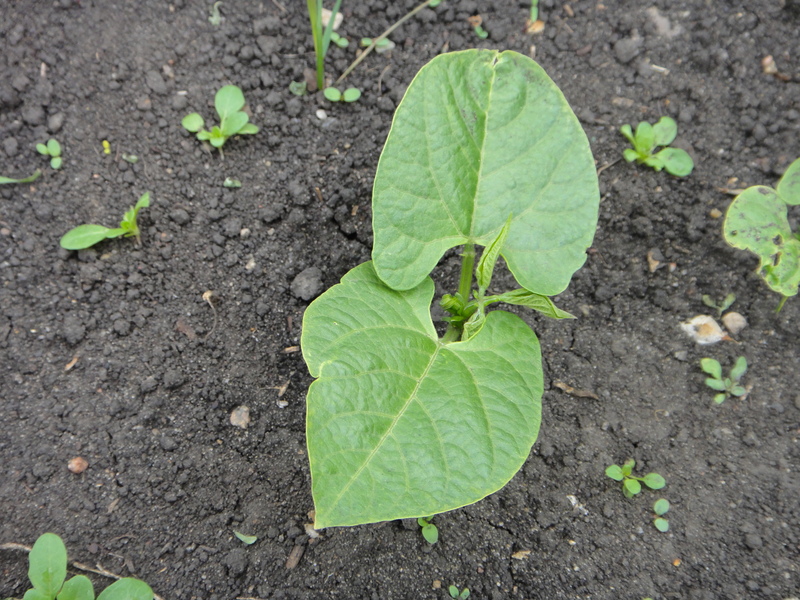 The baby green beans, maturing quickly. 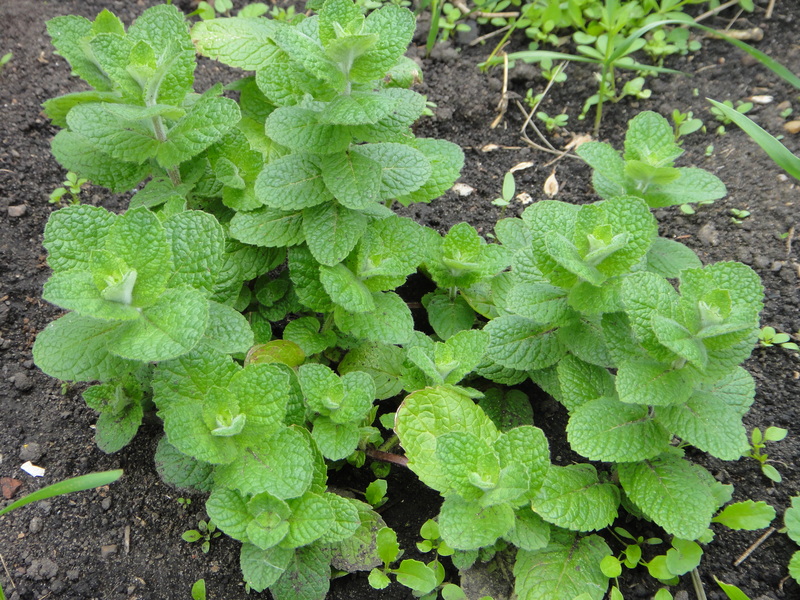 The massive mint plant. Mojitos, anyone? 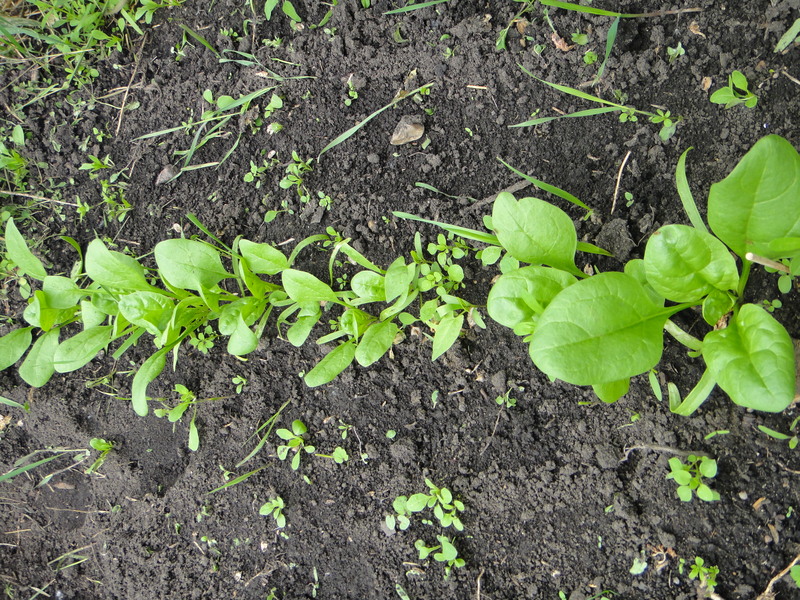 The spinach row. Looking good! 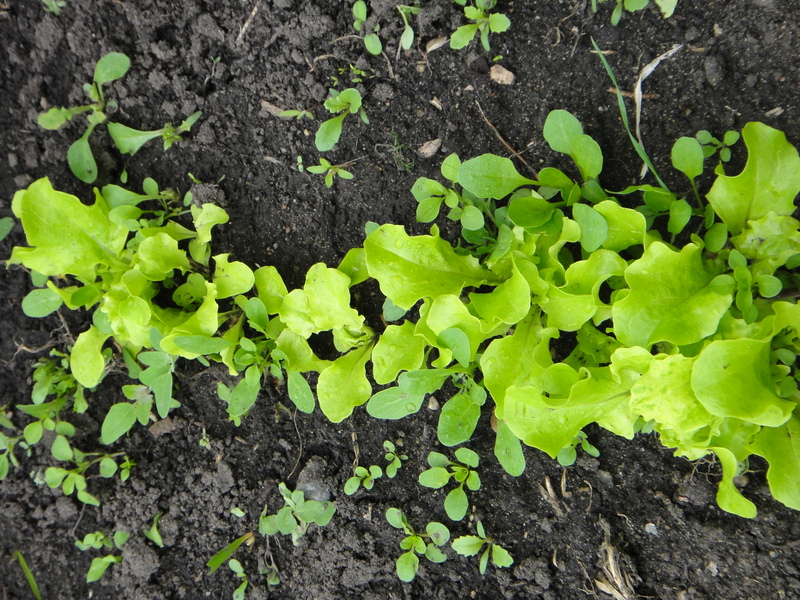 The lettuce is not so baby anymore. 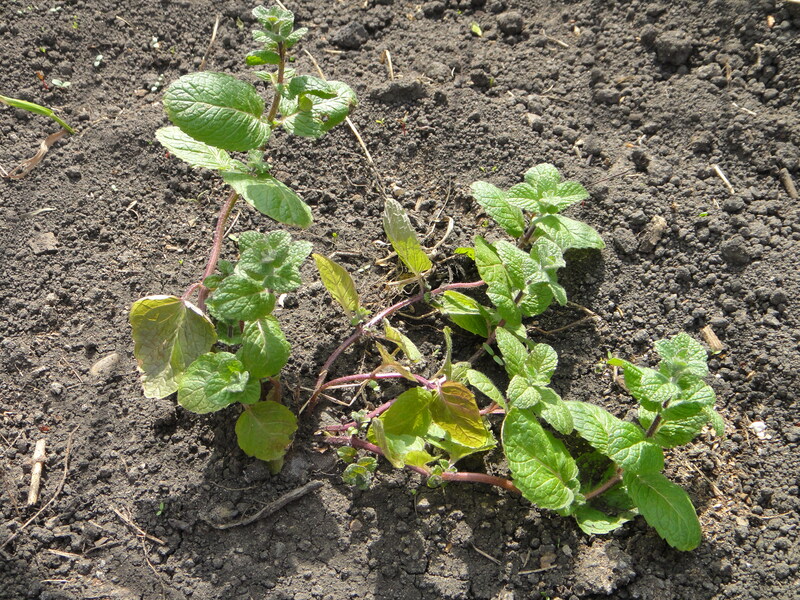 And the rhubarb. This is after having cut it down, twice! I feel like we might drown in rhubarb this summer!! 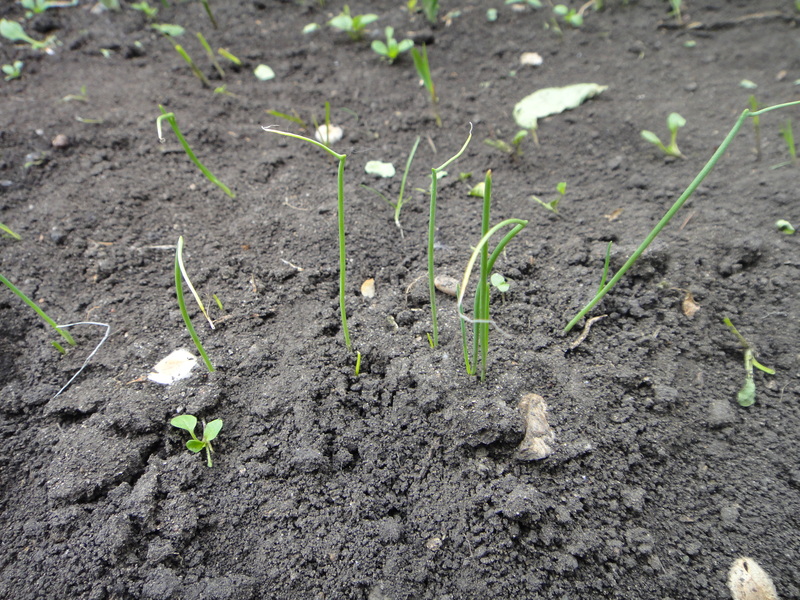 The teeniest tiniest green onion sprouts are doing so well! I am so happy for them! Hello folks and welcome back! I apologize profusely for my lack of blogging in the past week. Its been pretty busy here on my end. 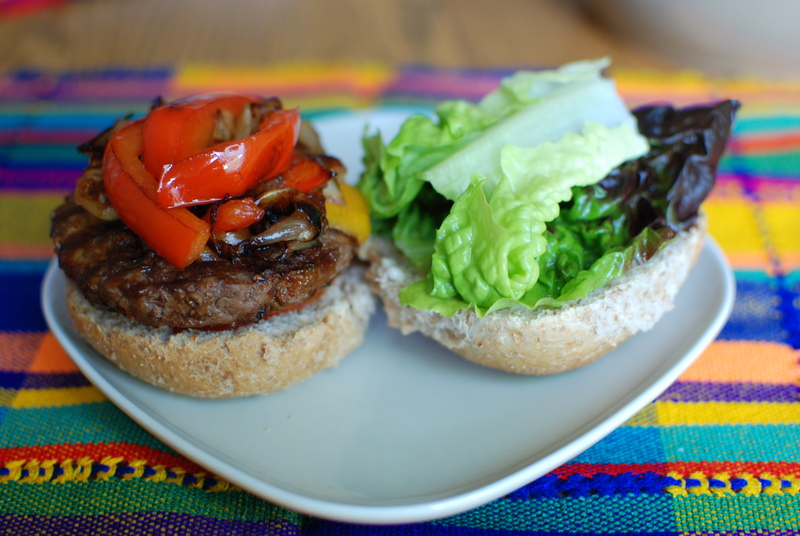 I welcome you all back with one of my favorite warm weather summer foods: The Ultimate Burger. 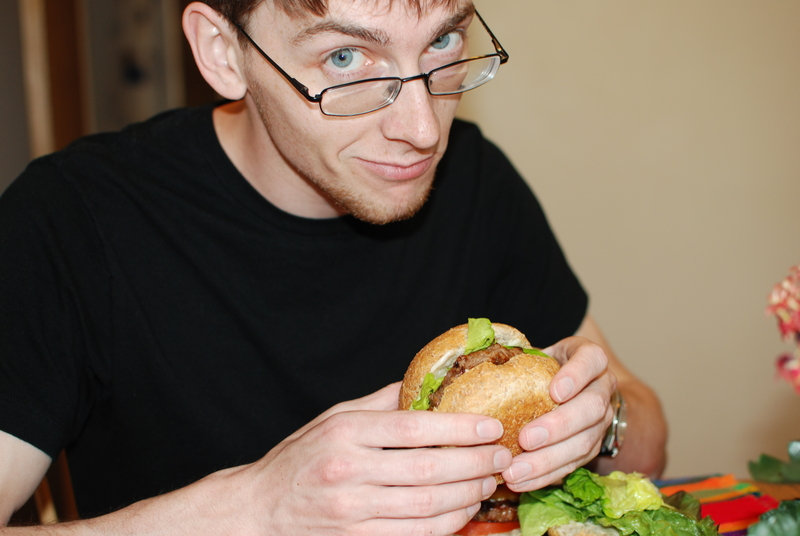 Everyone has a different version of their ultimate hamburger. Whether it be a turkey, mushroom, beef or veggie patty with Swiss, mortza, or cheddar cheese, anything goes, so long as you love the burger your biting in to. My version of the ultimate burger is a thick, juicy beefy patty (which is often be substituted with Blue Plate Diner‘s amazing veggie burger patties, which can be found in Eat Local First’s Good Food Box), smothered in sweet and savory BBQ sauce, topped with aged cheddar cheese, caramelized onions and sauteed red peppers, honey garlic mayo, lettuce and tomato. Yea, I’d call that the ultimate burger. 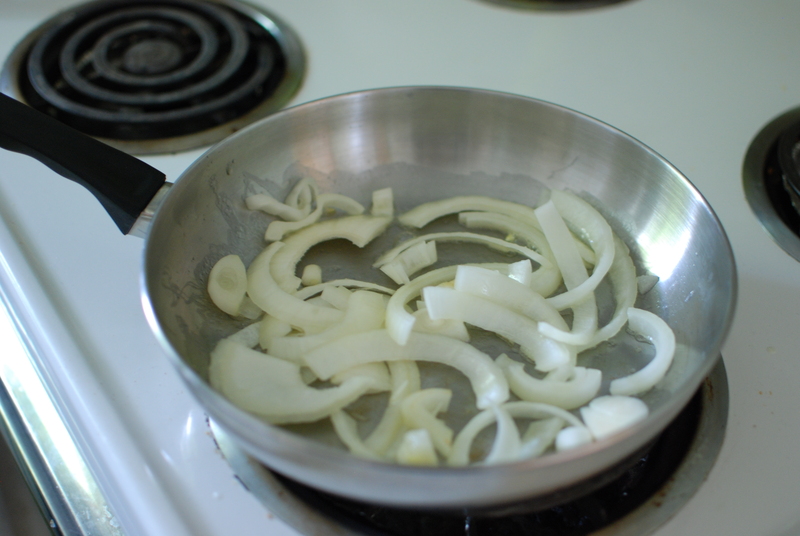 I’ve developped a fond love for local onions. They’re decently cheap at my regular haunt, the Old Strathcona Farmer’s Market. 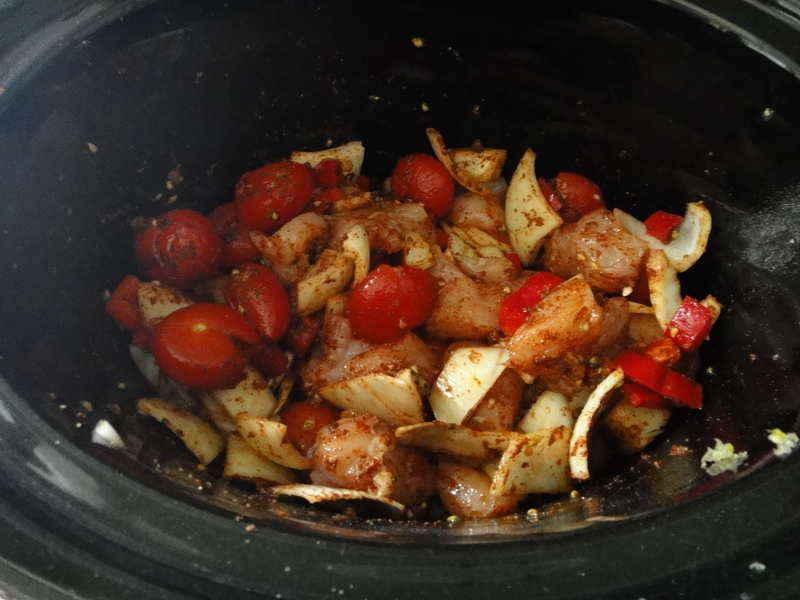 I left them alone to caramelize, with a tablespoon of butter, for about a half hour, while I got everything else ready for these tasty burgers. 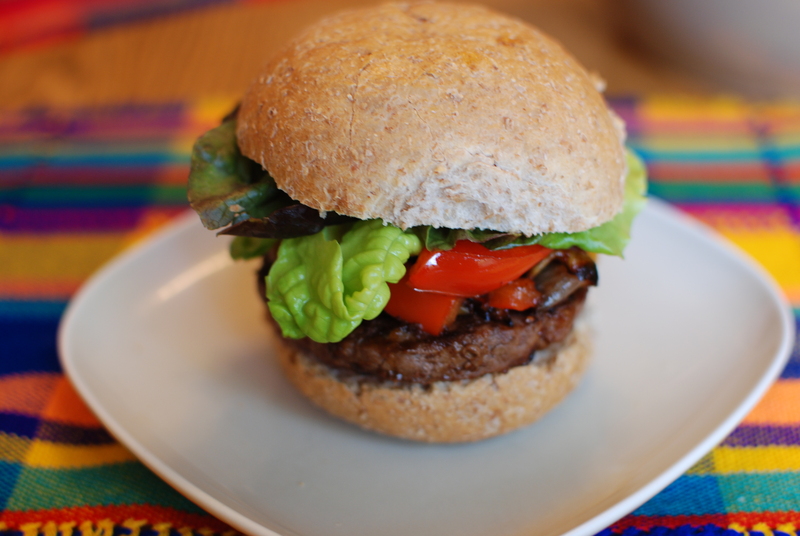 Unfortunately, I did not have the opportunity to pick up any local burgers this time around, however we did have some local burgers on May long from Four Whistles Farms that were outstanding. 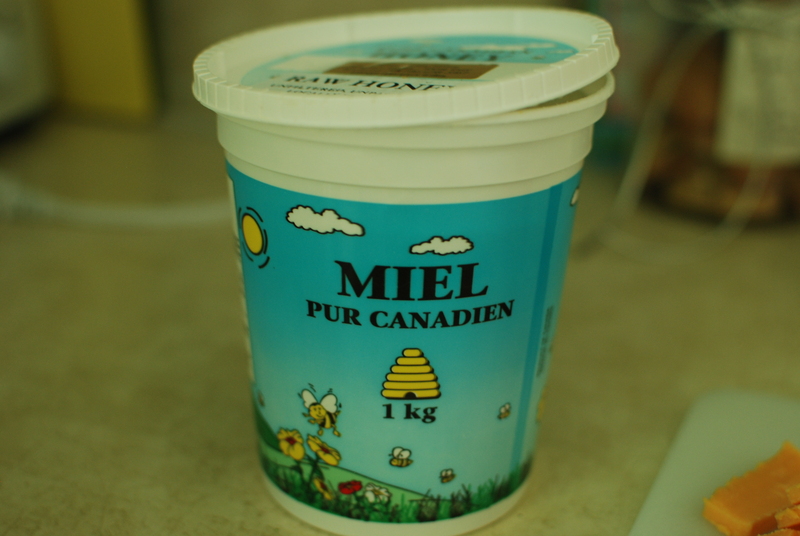 I love to make Honey Garlic Mayonnaise. 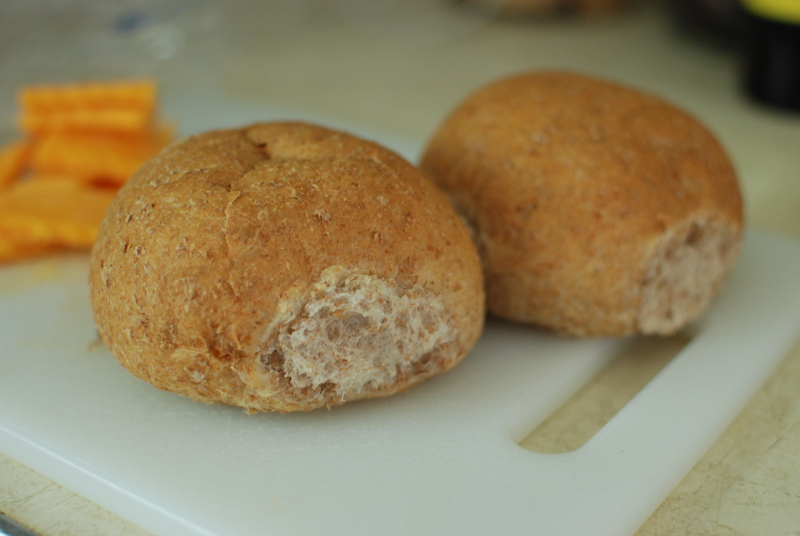 It’s super simple and it adds so much to any sandwich or burger. I used local honey from Eat Local’s Good Food Box. 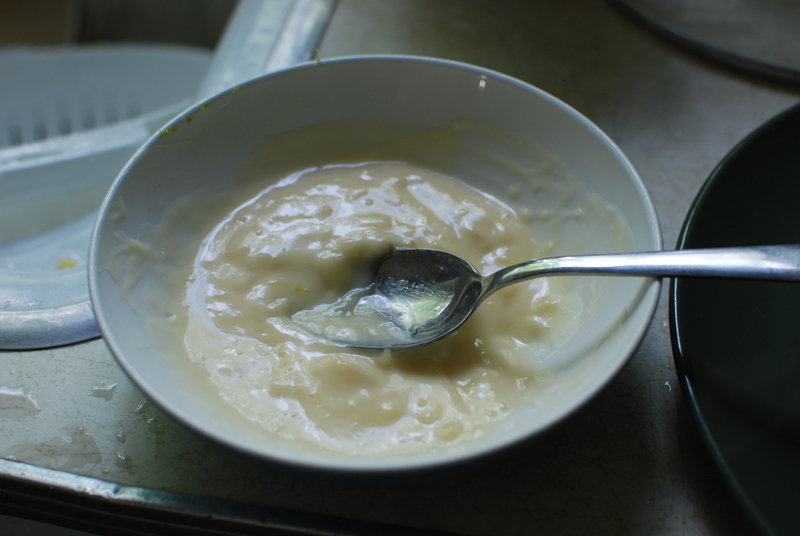 I mixed 1 tablespoon of local honey with one giant garlic glove and about 4 tablespoons of light mayonnaise and voila! delicious! I was telling Justin this as we were cooking away: “There is a science to cooking the perfect burger.” Well I think there is, anyway. 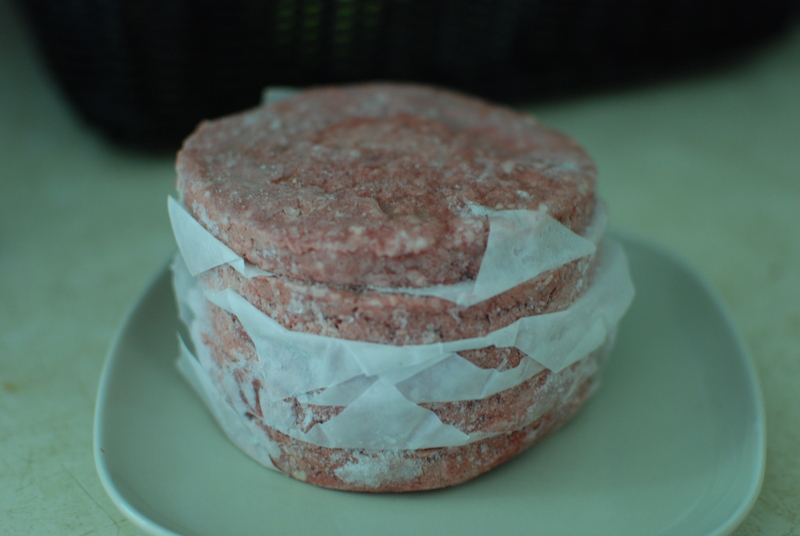 I usually fire the burgers on the grill, let them sit for about 2 minutes, then apply some Montreal Steak Spice. 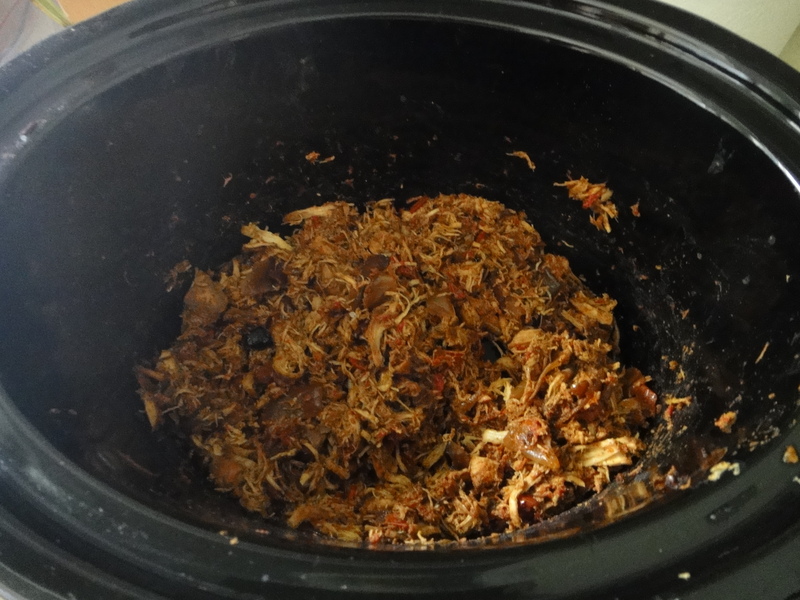 I let it cook some more, then the BBQ sauce goes on. 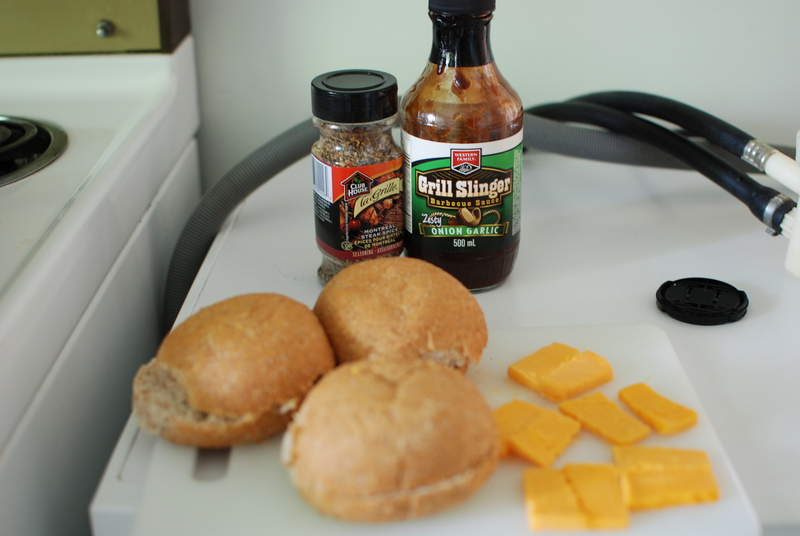 I let the sauce seep into the burger on the grill, then its time to melt the cheese onto the patties. These were some gooood burgers. At the end of a hot summer’s day, this is really all I ever want to eat. No wonder my summers are not usually very healthy. 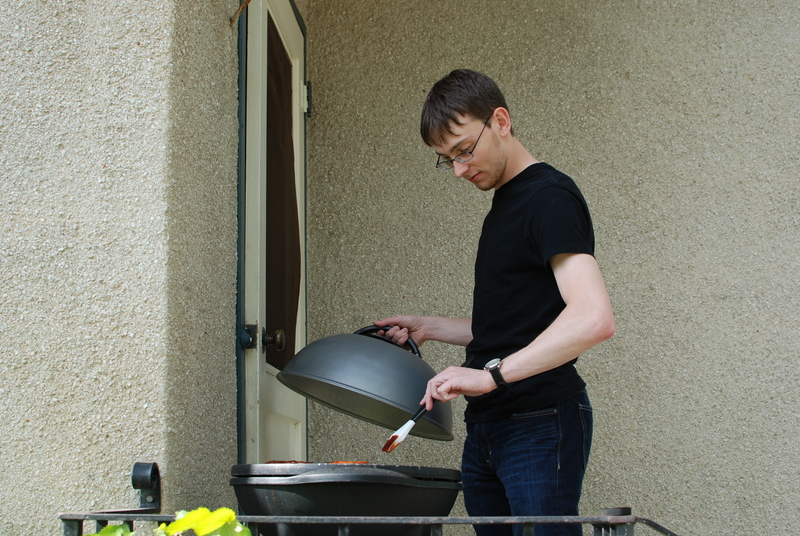 Here’s Justin waiting impatiently for me to finish snapping photos so we could eat. Tee hee! The Ultimate Jacquie Burger. It’s always worth the wait, and the bells and whistles. I would love to hear what you’re ultimate burger consists of! Please let me know!